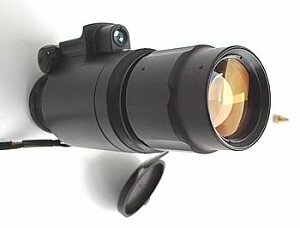 Brand new Gnom 2A monocuar night viewer is high quality, best optics first generation sight. Wide angle Gnom series night viewers are designed for observation in the twilight and at night. 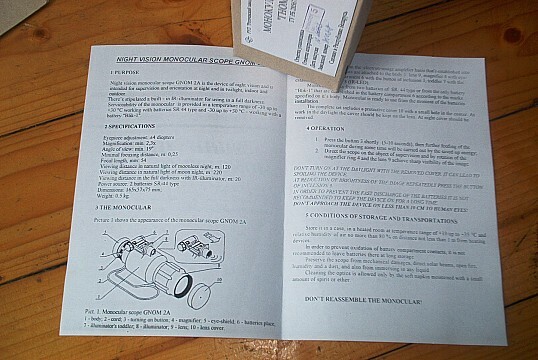 Infrared illuminator is used for extra illumination of the observed object at weak natural night light and even allows observing in a TOTAL darkness. High quality optics, all the parts are metal and glass. No plastic.